Koalakeet is part koala, part parakeet. it with his amazing mathematical ability. 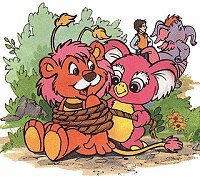 friend to the other Wuzzles.